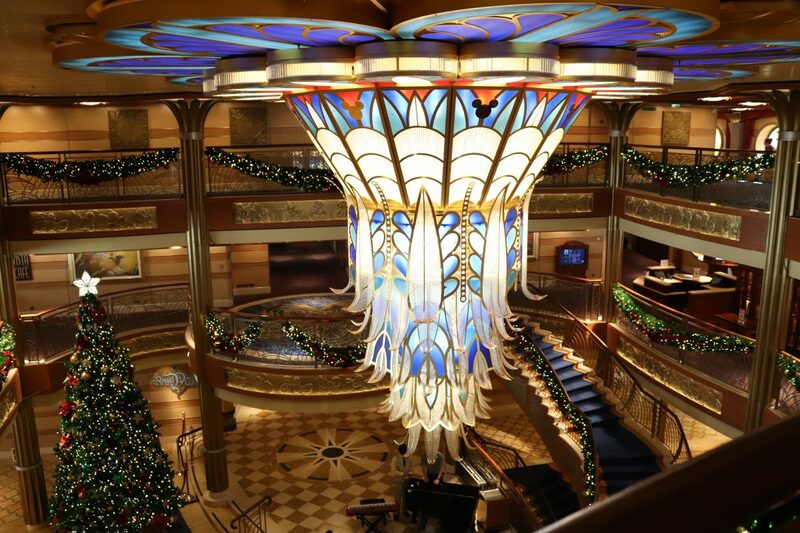 If you’re sailing on the Disney Dream, you’re in for a real treat! 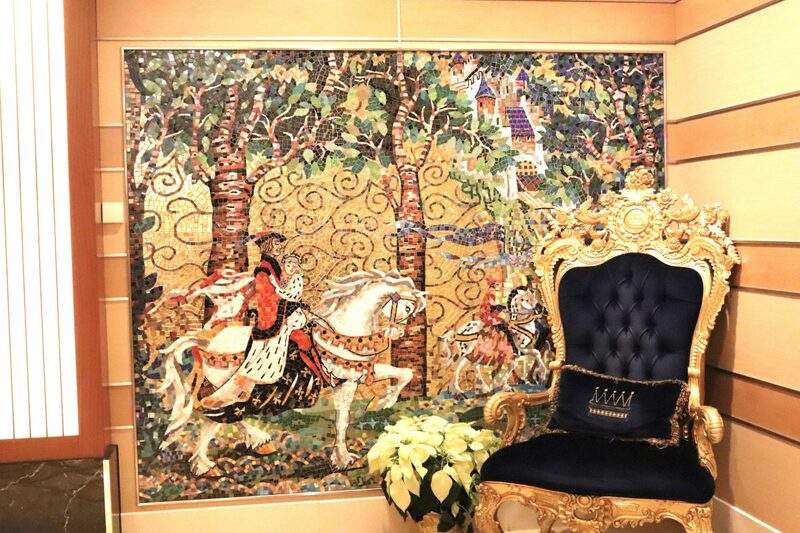 Aside from a stunning ship, world class service and loads of onboard fun, you’ll be happy to know that dining on the Disney dream is really top notch. 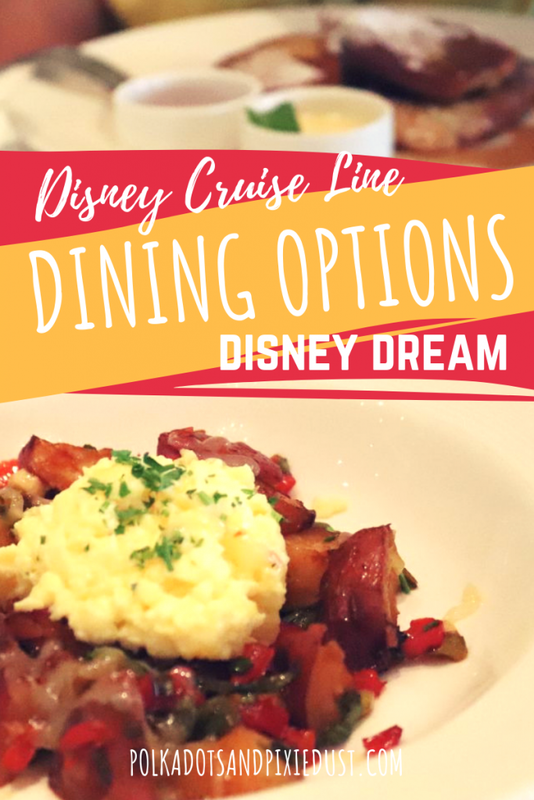 What are the dining options on the Disney Dream? There are three main dining rooms on the Disney Dream, along with other quick serve restaurants, a daily buffet and lots of snack options. 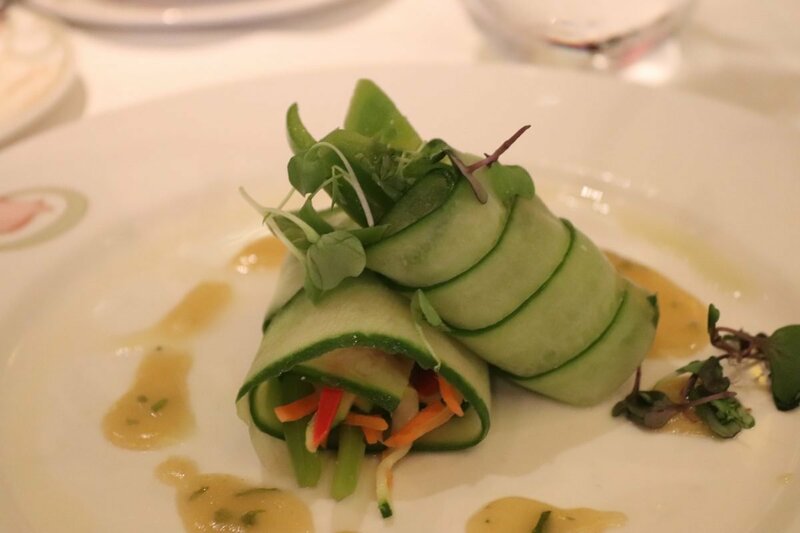 If you’re looking to elevate your dining experience, Palo and Remy which are first class dining choices for adults only are also available on the Disney Dream! 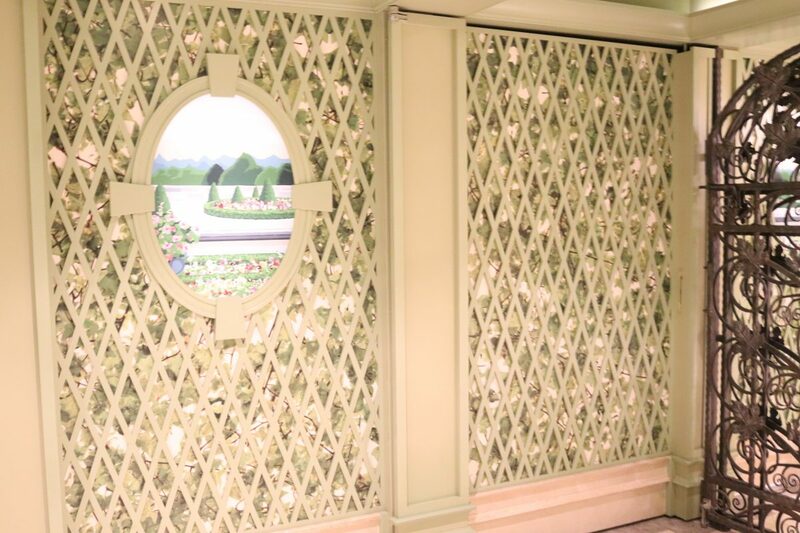 How does dining on the Disney Dream work? Disney Cruise Line has what they call, rotational dining. The way this works is you are given a time slot for dinner every night. You will either be seated for dinner at 5:30 or 8:15. You dining time slot is assigned to you once you check in online, and although you can request a different time slot, it’s not always guaranteed that you will be able to switch. Rotational dining is nice because you are assigned to a different restaurant each night, allowing you to try all of the options onboard and you will have the same servers every night, so they get to know you and what you like. Keep in mind, you don’t have to dine at the restaurants at all. There are a lot of other options available if you prefer something more low key, and don’t want a table service meal onboard. 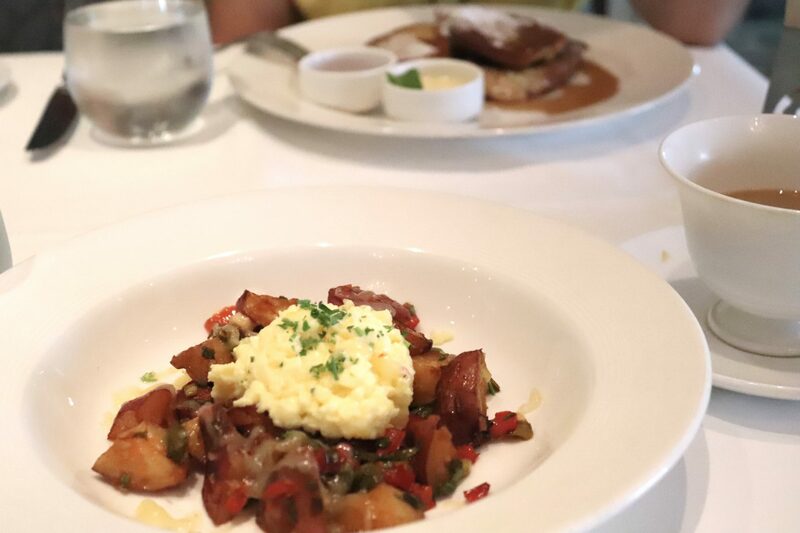 We recommend at least trying the restaurants once because the food is just so good and it will give you an opportunity to try something you may not have been able to otherwise. Plus, it is included in the cost of your cruise(with the exception of Remy and Palo) so you might as well take advantage of it! *Side note: When dining at the restaurants in your rotation, you are assigned to a table. You may be assigned to a table with another party, or several other parties. You can always request to be seated alone if this makes you uncomfortable or if you just prefer not to be seated with strangers. We have never tried this, but on our last cruise we noticed a lot of couples who were sitting by themselves, so you can always request it and see if they can accommodate you! 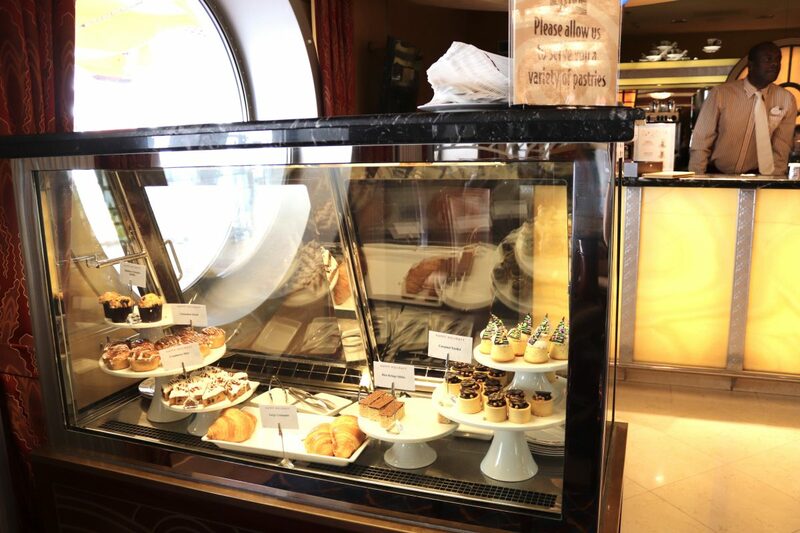 What restaurants are onboard the Disney Dream? 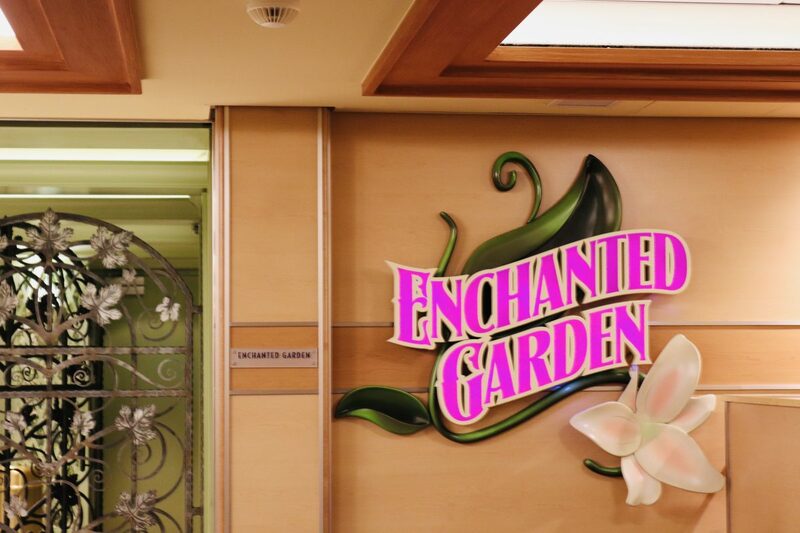 The Disney Dream has three main dining rooms, Enchanted Garden, Animator’s Palate, and Royal Palace. 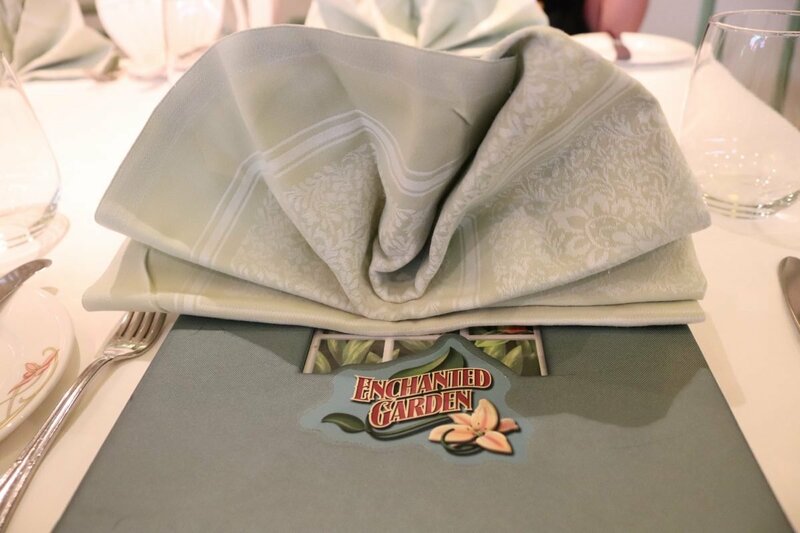 Enchanted Garden features a fresh menu for dinner, offering choices like Lobster Ravioli, pork tenderloin and lush desserts. You can also dine here for breakfast or lunch, which features an American style buffet. You can read more about the menu here. 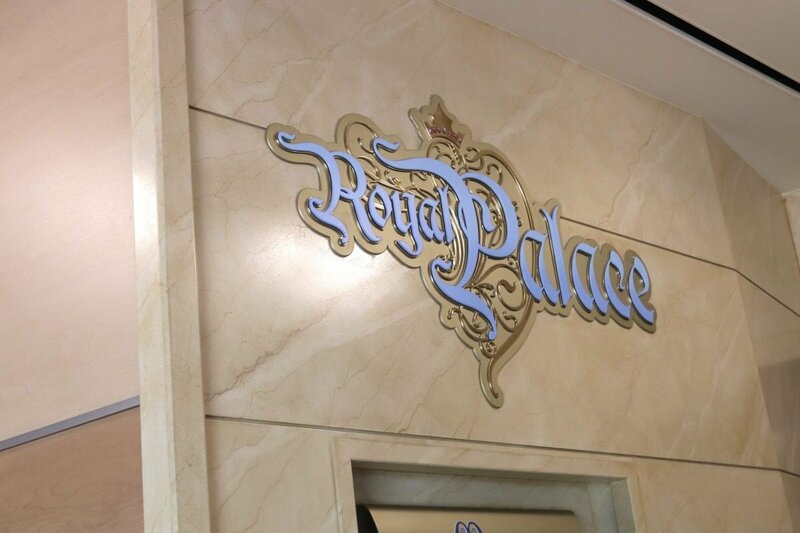 Royal Palace offers a mostly French menu, with choices like lamb, duck and beef tenderloin. They also have some of the most lovely desserts, so be sure to save room. 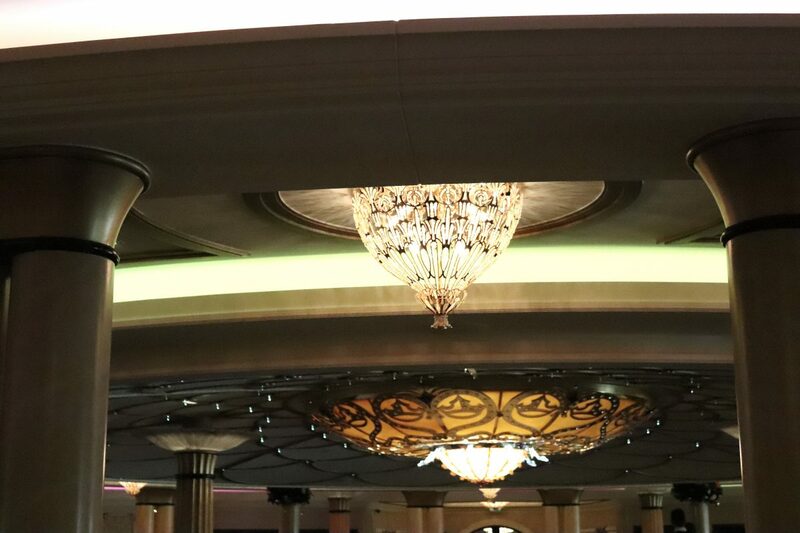 If you’re not into buffets, you can enjoy breakfast or lunch here with superb table service. You can read more about the Royal Palace menu here. 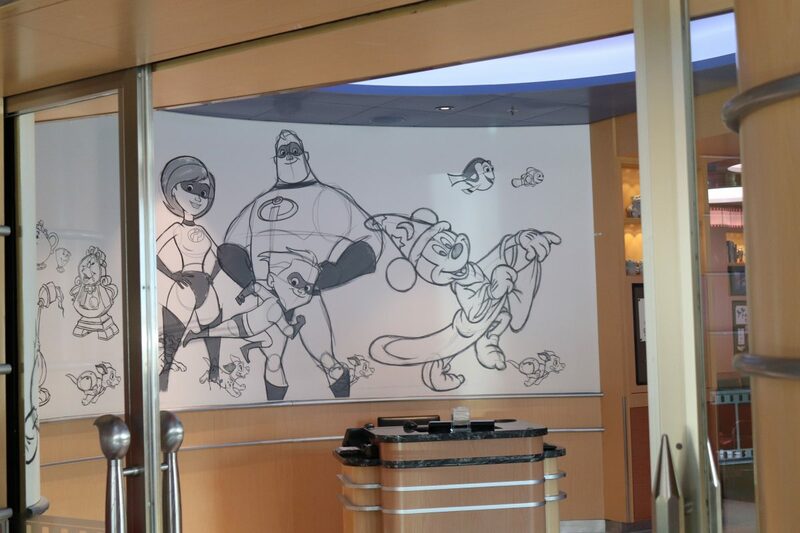 Animator’s Palate is actually located on every Disney Cruise Line ship, although sometimes presented a little differently. 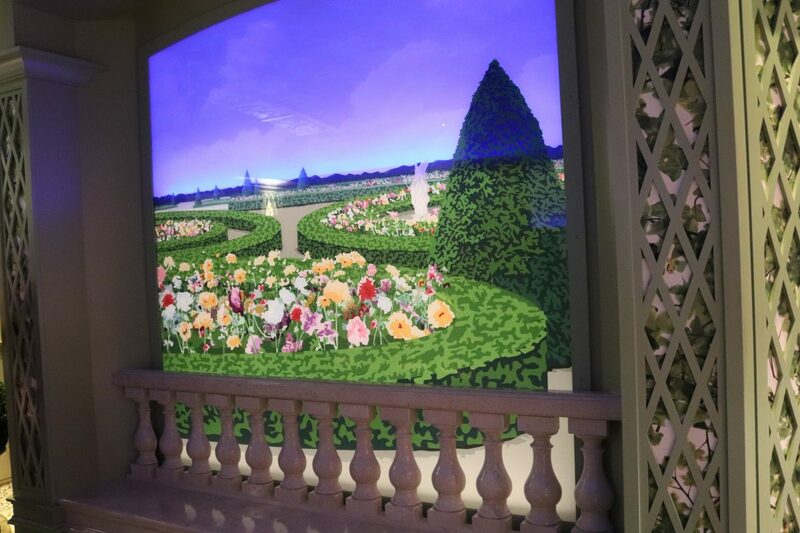 We love Animator’s Palate for its unique interactive dinner show. Their menu is considered a fusion of Pacific Islands, California and Asian food and we felt this was probably the most crowd friendly of the menus, with something for everyone. We were also able to eat lunch here on the first day on the ship, but it wasn’t open the rest of the cruise for other meals besides dinner. 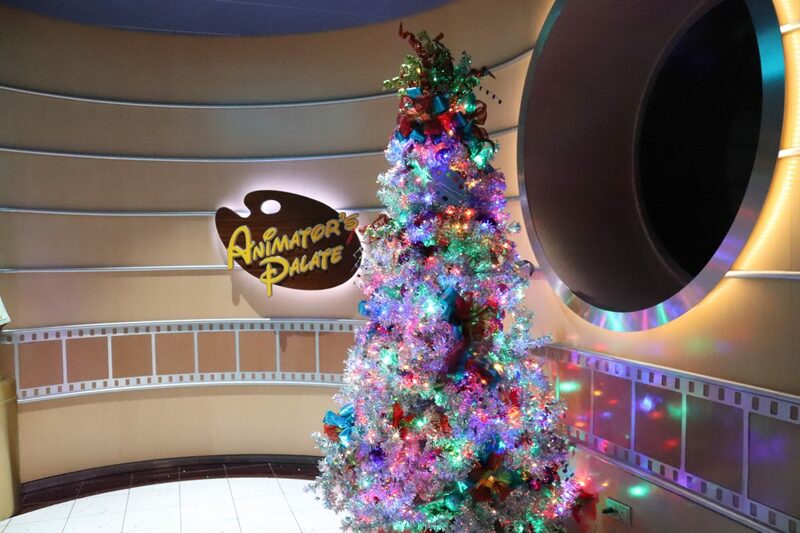 You can read more about Animator’s Palate here. If you’re ever unsure about your dining options, you can check your Disney Cruise Line app, which will show you dining options throughout the day. Cabanas is a buffet available during breakfast and lunch and we think its a great option if you’re looking for great food in a hurry. Classic American fare, with a lot of different selections, but being enjoyed as quickly or as leisurely as you like, Cabanas is sure to have something everyone will enjoy. Cabanas also offers table service dinner, should you decide to ditch your formal dining rotation for the evening. 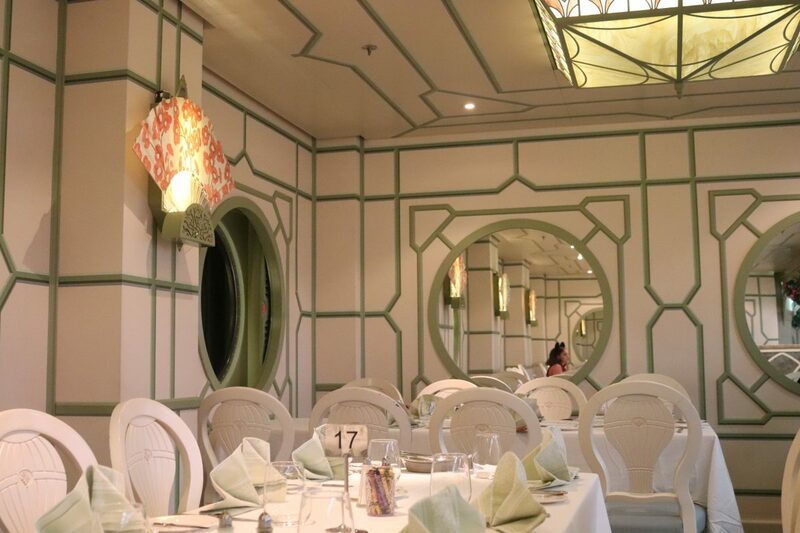 We’ve dined at Cabanas on both the Disney Wonder and the Disney Dream and have always found really beautiful ocean views from this restaurant, so take your time and find a great seat here, as there are no assigned tables. You can also step up your dining experience by choosing to dine at either (or why not both?!) Palo or Remy. 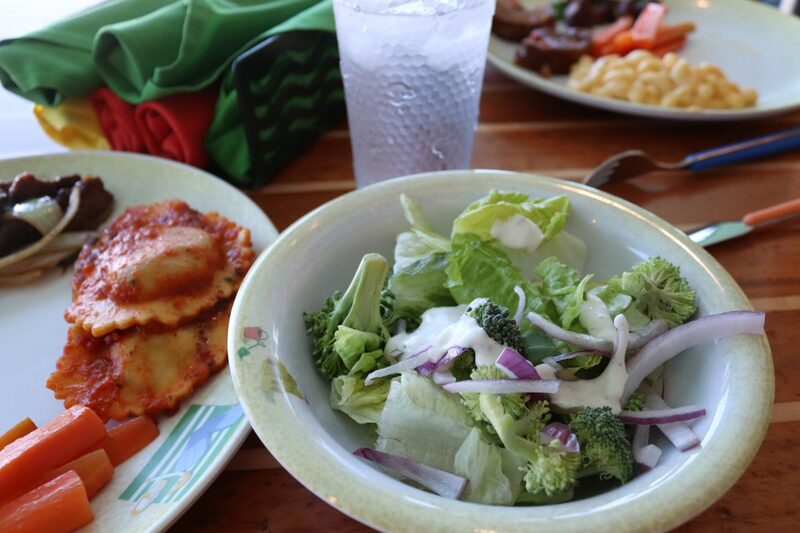 Both are adult only, are considered to be the absolute best in cruise dining and they will both cost you extra. You will need reservations to eat at either of these. This is something I haven’t yet experienced because, well, sometimes I travel alone with my daughter and seeing how she’s not an adult, that could be, well, awkward. But hey! 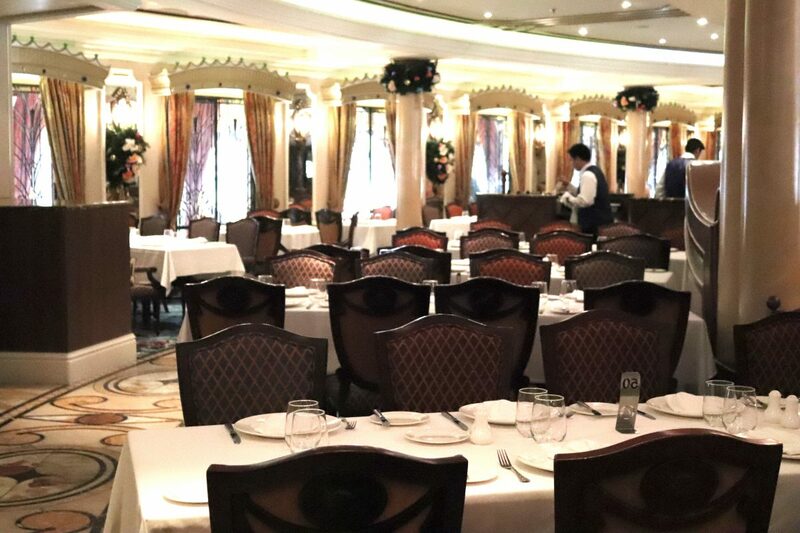 To each their own, and if you want to try a fancy restaurant all by yourself on the Disney Dream, then I say do it! 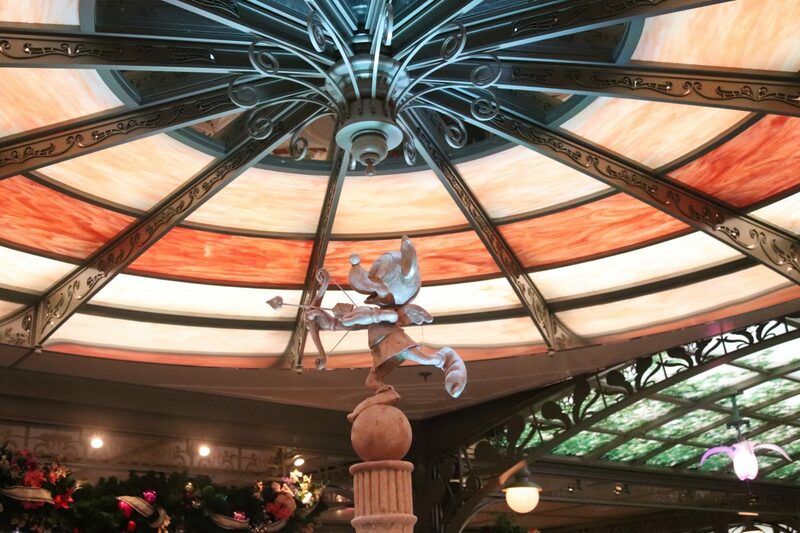 For reference though, Remy is a French inspired menu, with a French atmosphere and theming. We have heard nothing but amazing things about it, so if your budget allows(and if you like fancy French food) there are several options to dine here. Read more about Remy here. Palo features a Northern Italian theme in it’s menu and décor. Brunch and Dinner here will cost you $40 each and you can add a wine pairing at dinner for an additional $59. You can read more about Palo and how to reserve it here. 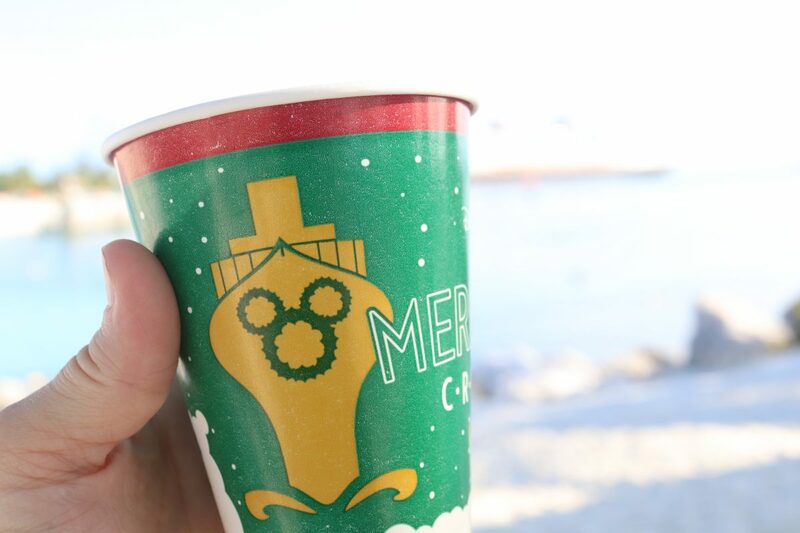 Aside from the 3 main dining restaurants, Cabanas and the 2 adult only restaurants , you can also grab snacks from various locations around the ship all day! 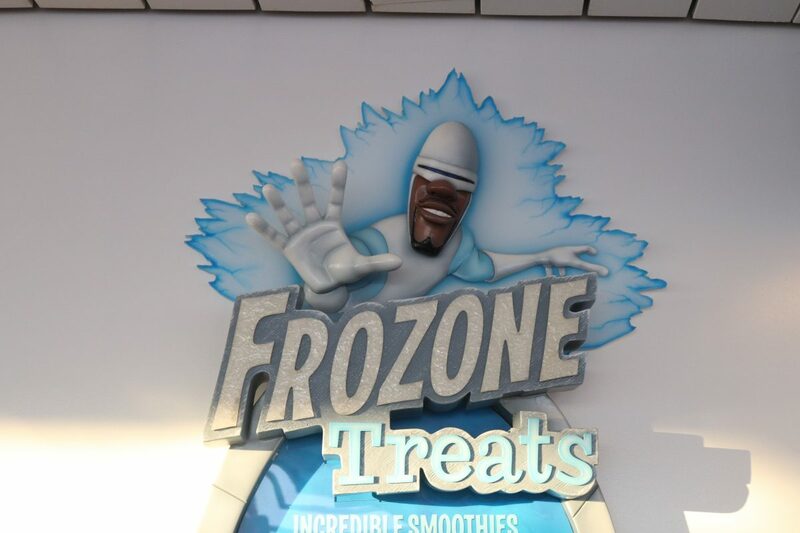 Grab a sweet pastry and hand crafted latte from Preludes, unlimited free soft serve from Eye Scream, smoothies from Frozone Treats or a quick bite like pizza, chicken strips or a sandwich from Flo’s Café! Get your sugar rush at Vanellope’s Sweets and Treats with some of the most decadent gelato you’ve ever tasted! These cost extra but in our opinion were well worth it and a nice switch from the free soft serve. Be sure to keep your keep to the world card on you in a lanyard so you can make those spontaneous extra purchases if necessary! And don’t forget room service is always available, free of charge. Order a Mickey Ice Cream bar from the comfort of your stateroom! 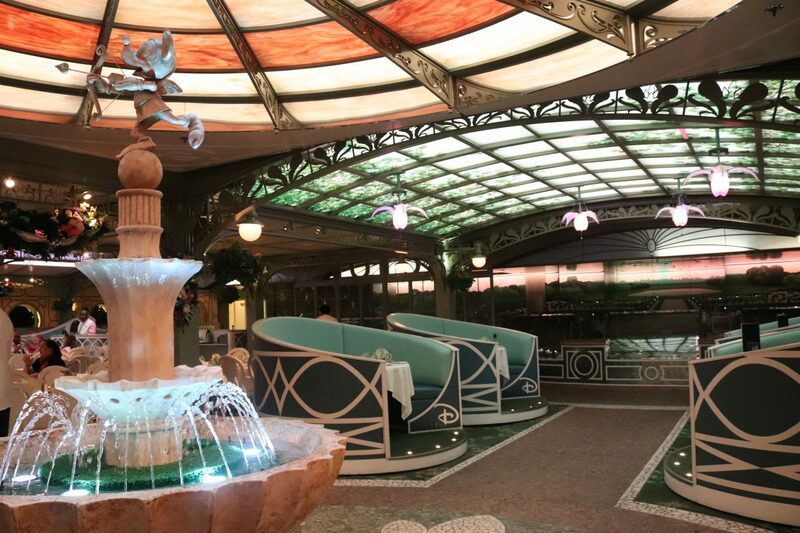 You can read more about dining on The Disney Dream here. 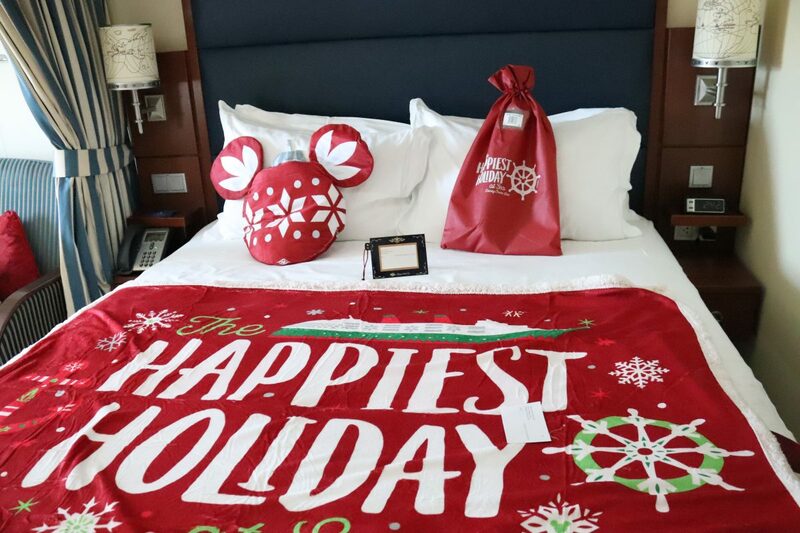 Dining on the Disney Dream is incredible regardless of how you choose to dine and hopefully this post has helped you understand the process and what your options are! 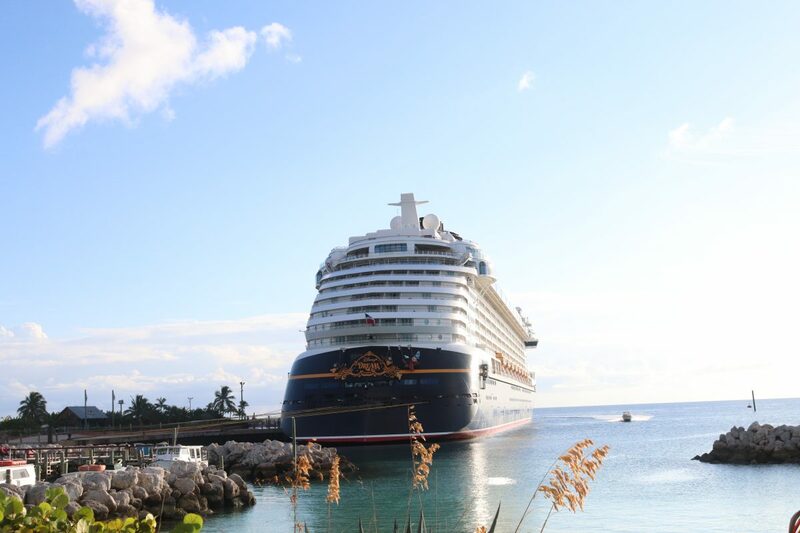 Have you dined on a Disney Cruise? Did you have a favorite restaurant there? Let us know, we’d love to hear your experiences!